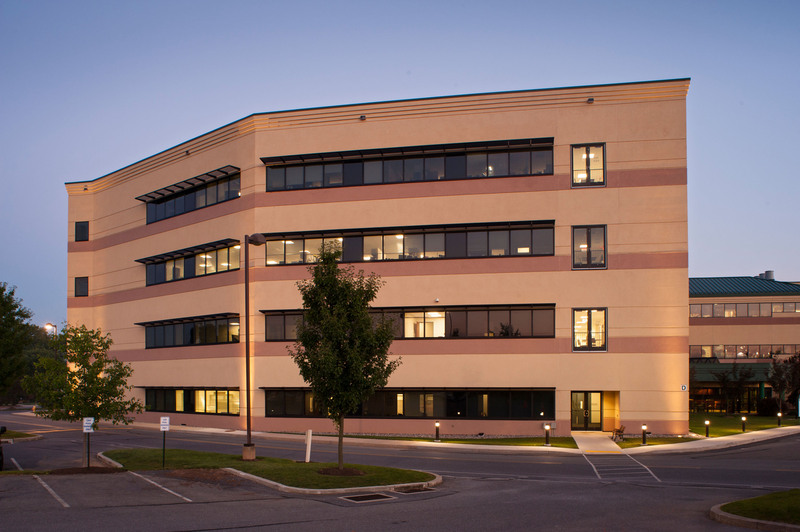 Eurofins Lancaster Laboratories is a multi-faceted campus of buildings that provides testing and research functions for pharmaceuticals, gene and cell therapies, and medical, environmental, and industrial waste clients. Design requirements are complex combinations of infrastructure systems and procedural functionality. We began the project by arranging periods of collaboration with all stakeholders. By knowing their wants and needs we were able to combine all the input to create designs that meet all requirements. Our design for the micro/clinical analysis laboratory includes structural bays that accommodate standard 20’ x 30’ lab modules. To maintain the proper hygienic environment, clients can view the facility through a bank of windows without entering the premises. Workers have a well-lit, spacious environment that easily accommodates the numerous types of equipment required for different tasks. 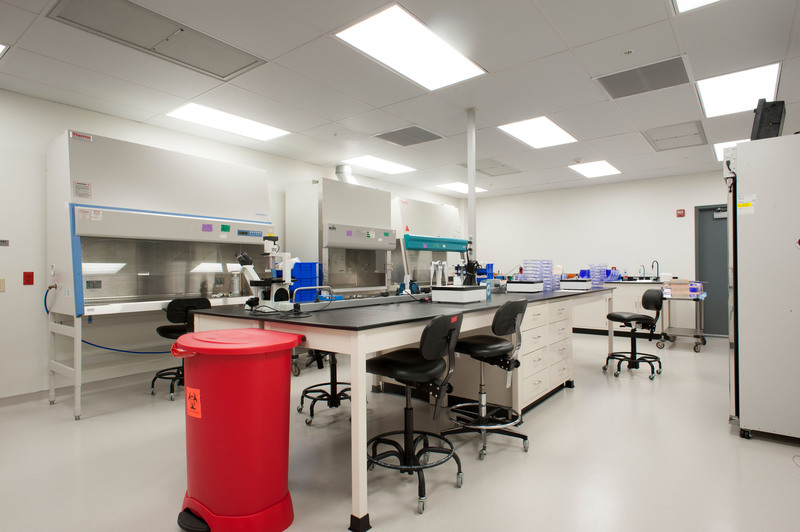 To control and contain the environment in this laboratory, we use HEPA filtering and seamless vinyl flooring with welded seams, the standard for sterile clean rooms. Exhaust from workstation hoods is collected in a common rooftop high plume exhaust system. 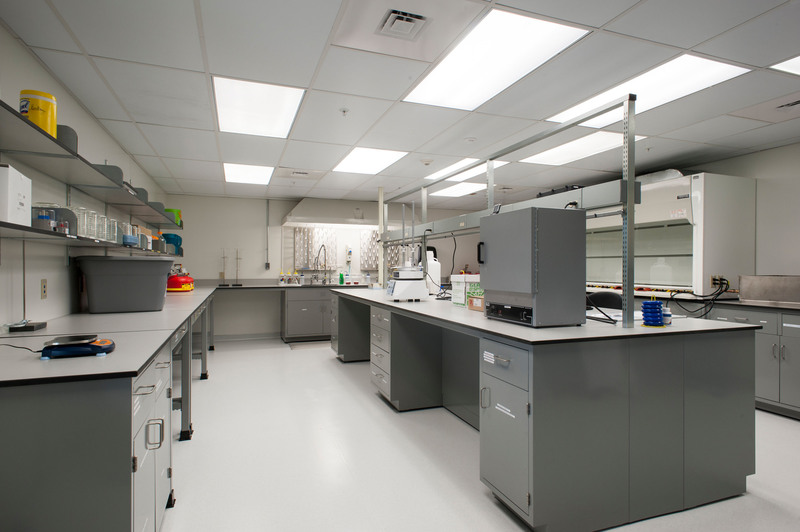 For this laboratory we were able to use stock cabinetry to help control costs. 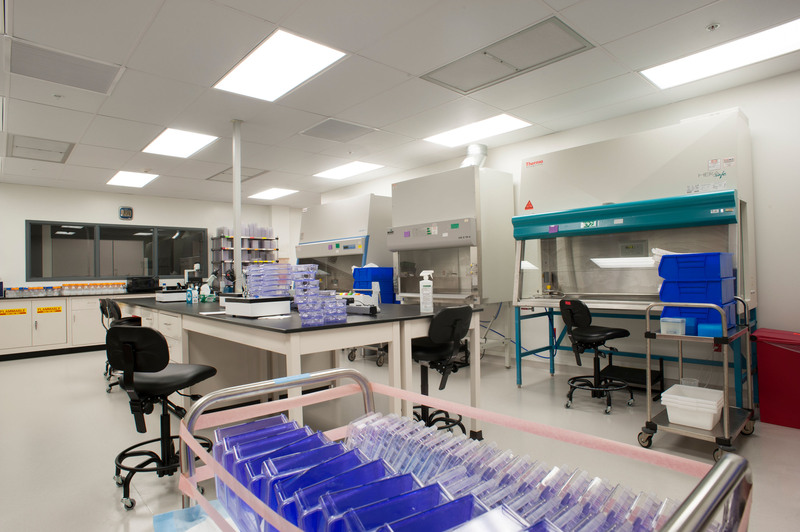 Fume hoods, sink bases, bio-safety cabinets and components support the unique functions and testing done in this room. A variety of storage solutions are needed to accommodate the numerous types of testing done here, which in turn requires custom designed facilities that promote efficiency and accuracy. This laboratory includes a block of windows that allow clients to see work being done without entering and contaminating the work area. 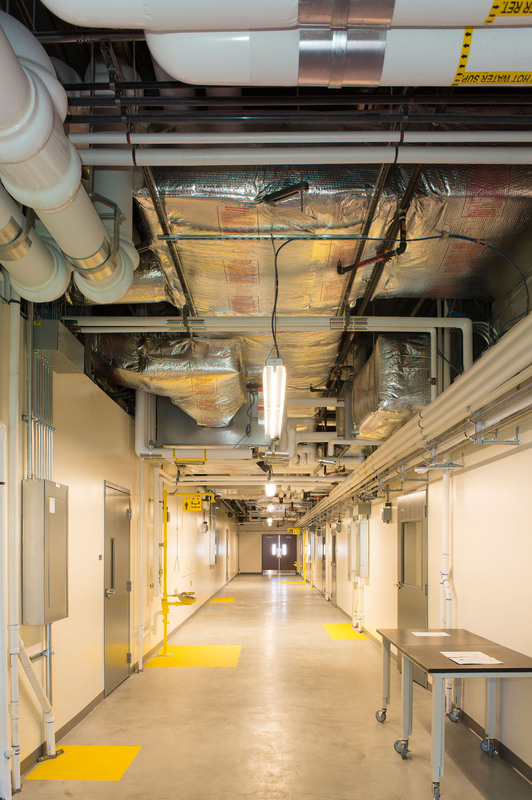 This service corridor shows the environment outside the individual laboratory facilities. 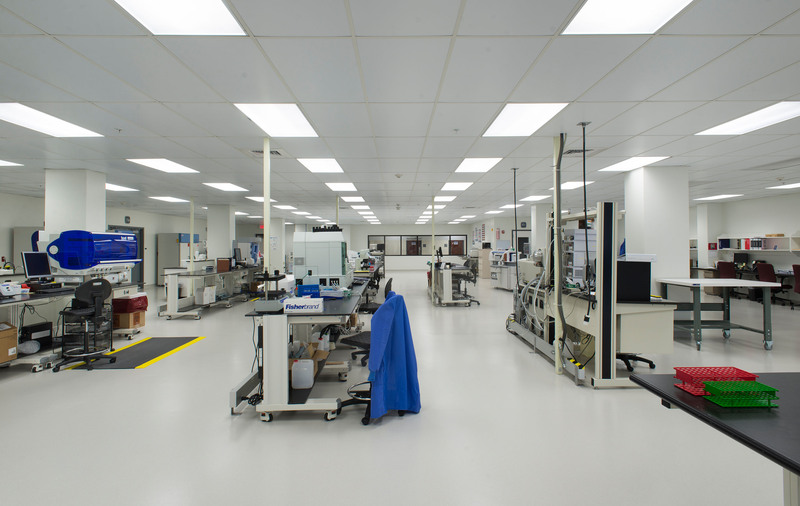 Halls are wide enough to permit temporary placement of equipment and storage without impeding access to labs. The systems for mechanicals, electric, and gas are exposed in the corridor for easy maintenance, service, and troubleshooting so work can continue without disruption. Critical clearances are marked in bright yellow on the floor.